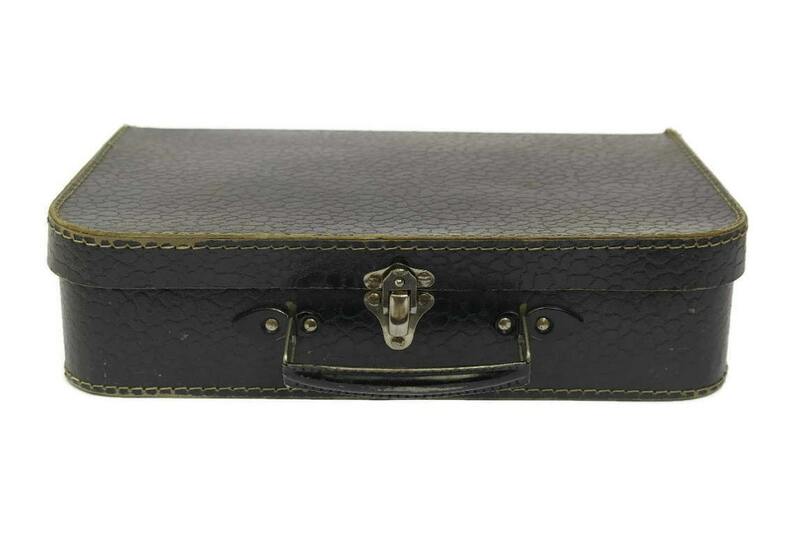 A sweet vintage navy blue children's cardboard suitcase dating to the 1950s. 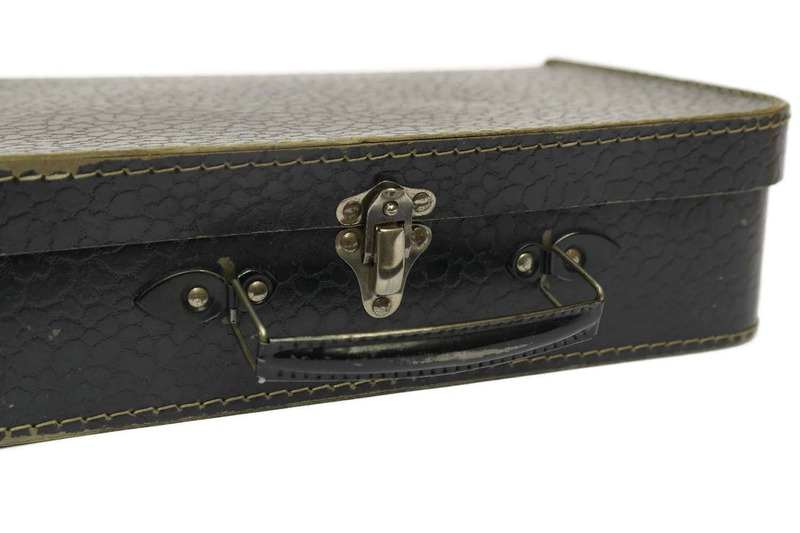 The small suitcase has been made from hard cardboard in a deep shade of navy blue and features metal hardware. 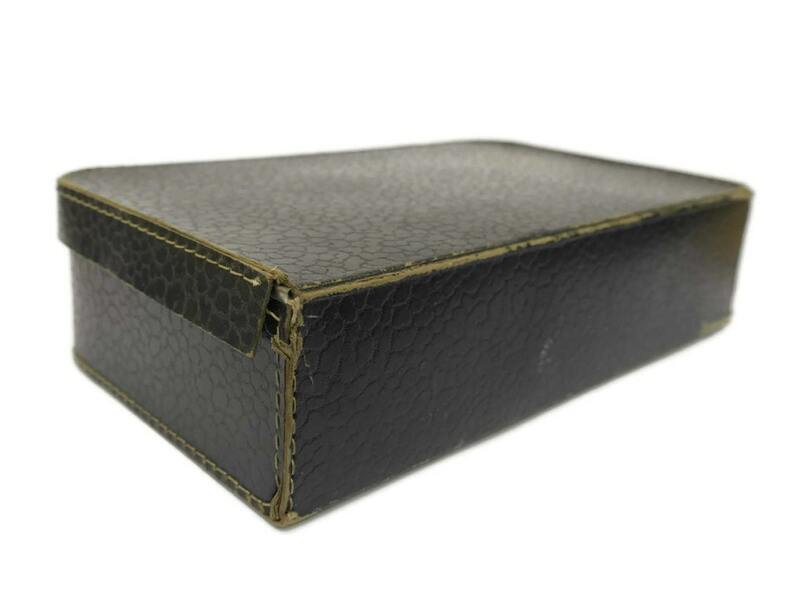 It will make a great storage or a stylish addition to your kids room decor. 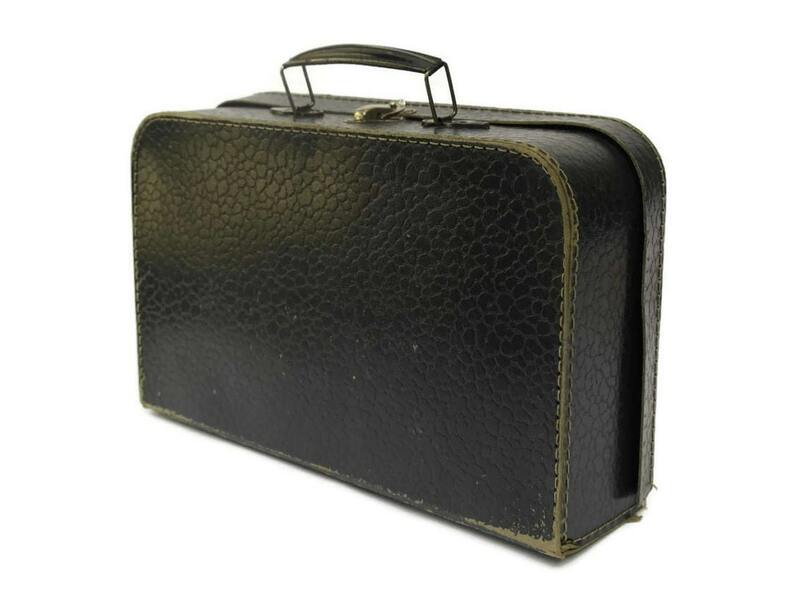 (30 cm x 8 cm x 18 cm). 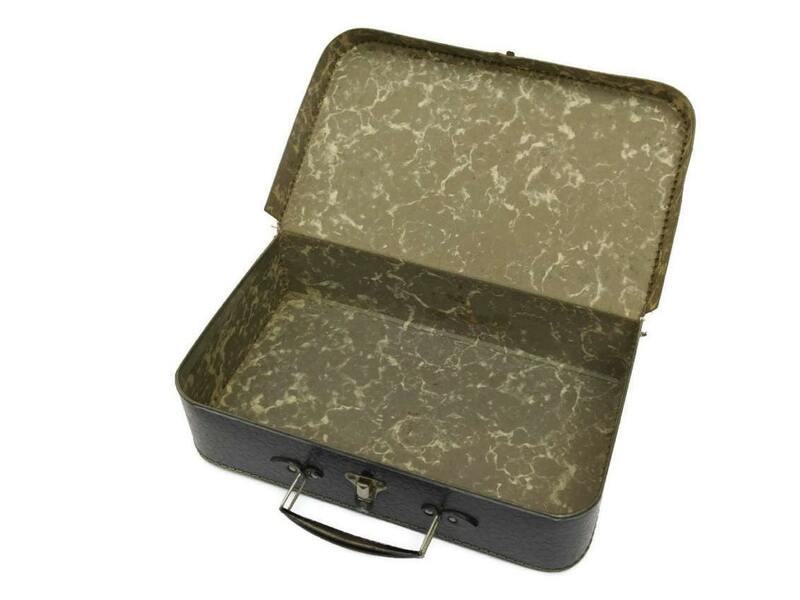 The suitcases is in fair vintage condition with signs of age including surface marks and wear to the edges.